If you haven’t been to a “Lemonade Restaurant”, you are missing out. 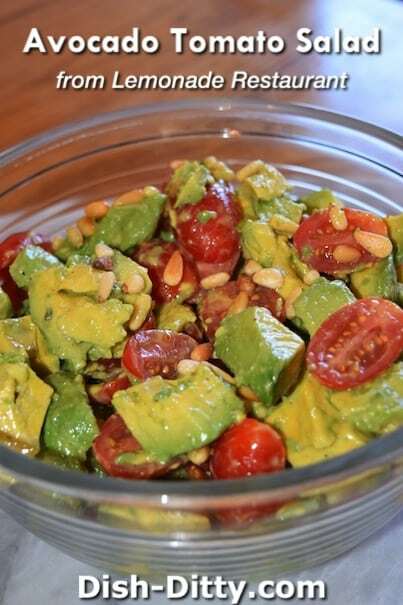 This is one of my favorite fast eating restaurants that I’ve been to in a long time and this Avocado Tomato Salad Recipe is a sure fire winner. When we were on our summer vacation in the Los Angeles area, we always go to the ‘fancy’ movie theaters at Cinepolis USA in Westlake Village. It’s a true experience that can’t be beat. Nothing like kicking your feet up and pushing a button to order food or a beverage while watching a great movie. Last summer, we went to the movies as usual and wanted to eat a little something afterwards. We had all had some finger foods in the theater, but were still a little hungry, but not enough to have a full sit-down dinner. We wound up walking into the Lemonade Restaurant and were pleasantly surprised. It is setup cafeteria style, with all of the items looking fresh, healthy and reasonably priced. I tried this salad along with a couple others and instantly fell in love with the food and concept. This is a really simple salad that is great served at lunch or dinner and is super healthy, fresh and colorful. You’ll see some other recipes from me later as I experiment to recreate the recipes. Luckily, this one is published all over the internet as it is in their published cookbook “The Lemonade Cookbook”. We actually bought the cookbook for my niece while we were there so she could have fun learning some new salads. 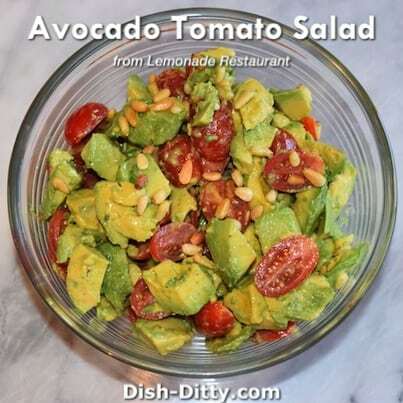 Combine all ingredients and toss lightly, being careful not to smash the tomatoes or the avocados. Season with salt and pepper. Refrigerate for at least 2 hours before serving. In a blender, combine the lime juice, honey, mustard, garlic salt, and pepper. Blend on medium speed for a few seconds, and then reduce the speed to low. With the motor running, slowly add the oil until emulsified. Pour into a container or jar and mix in the cilantro. Keep any leftover vinaigrette covered in the refrigerator for up to 1 week. 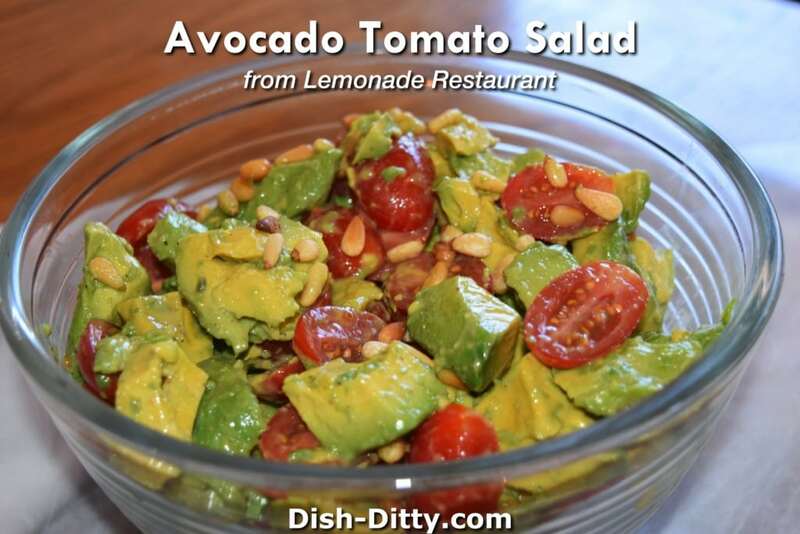 No Replies to "Avocado Tomato Salad Recipe (from Lemonade Restaurant)"